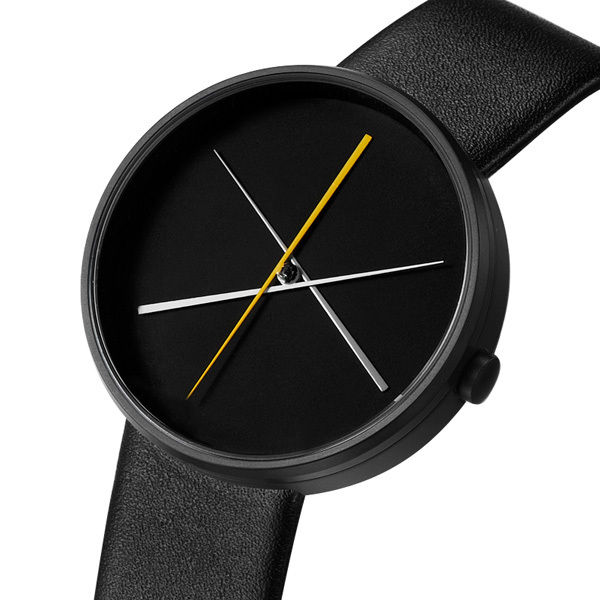 Overview: The Cross Over Watch is a good take on the game “Pick up stix”, it features contemporary and graceful hands that appear to be precariously balanced rotate around the dial. What makes it striking is the way the hands are slightly askew to the center giving this timepiece an elegant vibe. 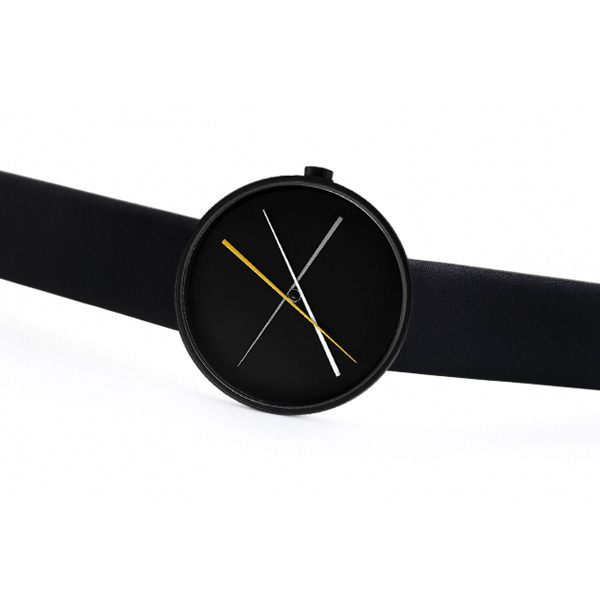 Crossover is a unisex watch measuring 40mm (1.57″) in diameter and 7.6mm (0.30″) high. 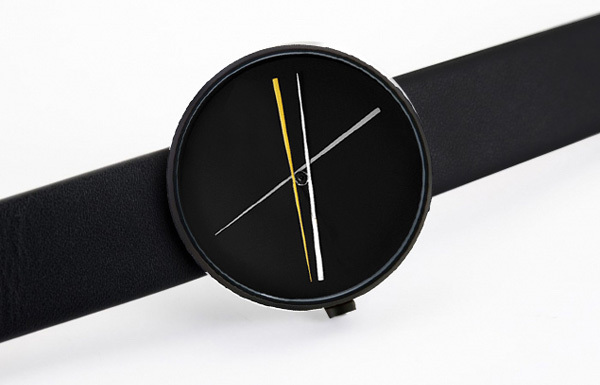 It is made of a black IP stainless steel with hidden lugs that connect the band seamlessly. 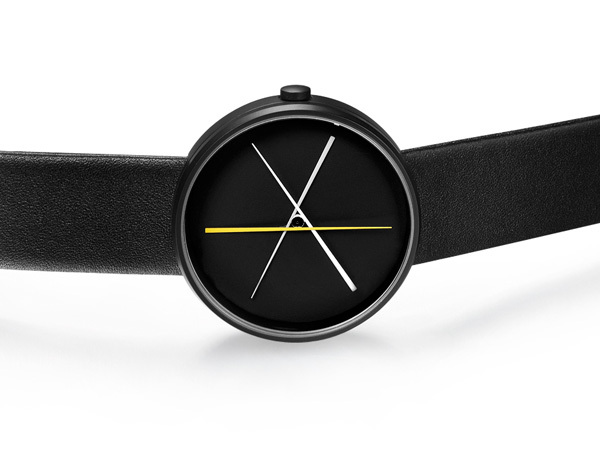 Available with either a 20mm black leather or silicone band.